A fine mansion overlooking Masson Mills. 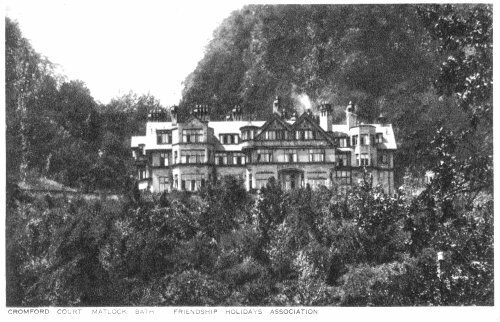 It was built by John Edward Lawton, an experienced spinner from Dukinfield, Cheshire (see 1891 and 1901 Census). 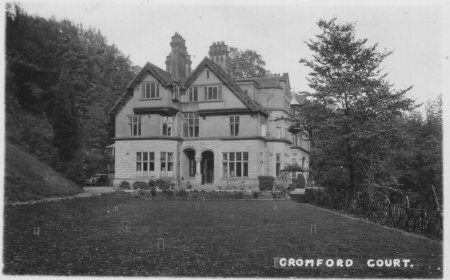 Named "Woodbank" when first built, it was later known as "Cromford Court". In 1883 Lawton was hired by Frederick Charles Arkwright (grandson of Sir Richard) to manage Masson Mill, which made sewing thread for the new market created by the use of sewing machines. 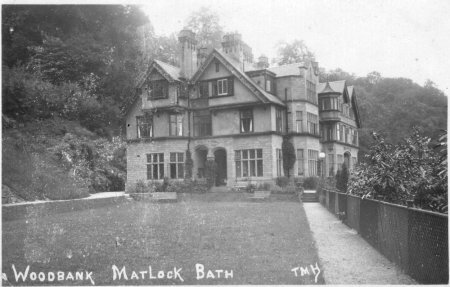 The imposing Woodbank was built by George Lawton, manager of Masson Mill, apparantly to flaunt his wealth after being refused permission to build at Cromford. 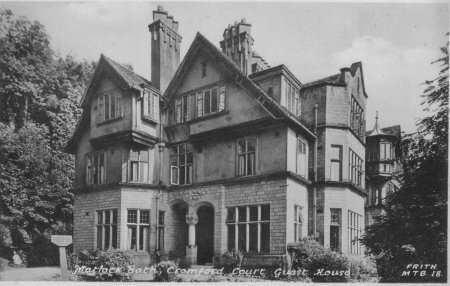 The property subsequently belonged to the Holiday Guild and was known as Cromford Court, then later became headquarters of the New Tribes Mission. 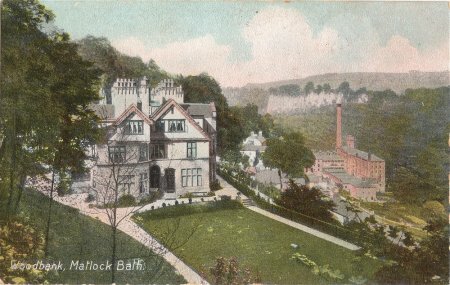 Woodbank has recently been converted into flats. 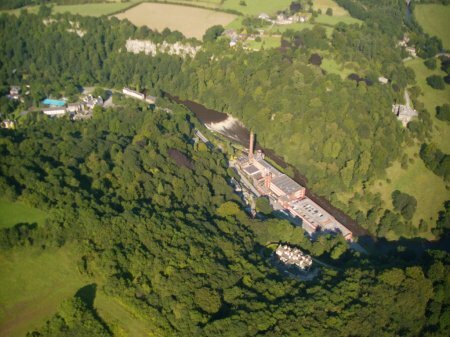 Woodbank gave Lawton a bird's-eye view of the mills where he reigned supreme. At the week-long celebrations of his daughter, May, - the last big event at the Palais Royal - Masson millworkers were ordered to change into suits before going up to toast the newly-weds, there to be monitored by three foremen counting the minutes they were away from their labours. Unposted. Taken late 1930's, judging by car style and croquet lawn.